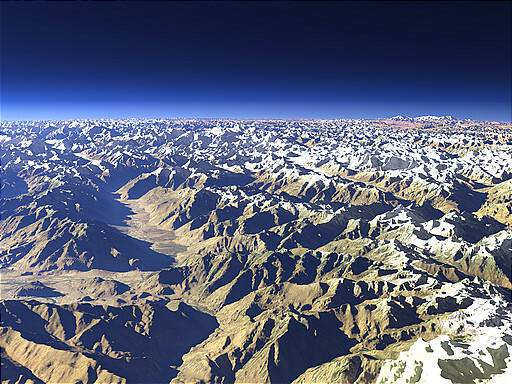 This view shows parts of the Karakorma mountain range from south with the Shigar River valley and the upper Indus in the foreground. Two large glaciers are visble on the southern slope of the mountain range: the Biafo Glacier on the right and the Chogo Lungma Glacier on the left. 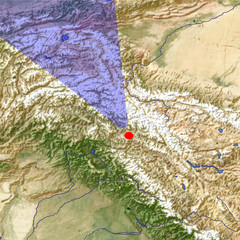 On the far right the Kongur Shan mountains are visible.